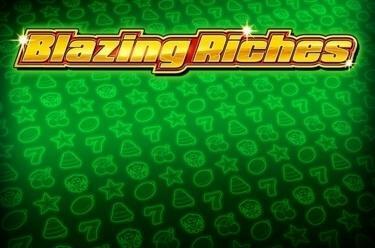 Play Blazing Riches online for free now! Step right up, step right up! The Joker enters the stage in Blazing Riches and immediately starts the great Twist show: Melons, oranges, grapes and the star of the show, the Red 7, tumble on the reels. Your performance will only be topped by the 15-member group of jesters, who only appear before an audience with particularly large amounts of luck: Conjure up a jackpot out of their jester’s hat! 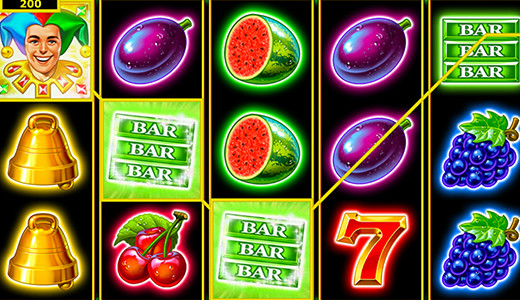 Your aim in Blazing Riches: Line up 5 matching symbols along one of the up to 10 win lines that all run from left to right across the reels. The Joker is the most important symbol of the game: He not only triggers 10 free spins as the Scatter symbol if he lands on any reel position at least 3 times, but also wins you the jackpot when he appears 15 times! 3 or more Scatter symbols (Joker) in any position on the reels trigger 10 Free Games. They are played with the settings of the base game. All Jokers that fall in the free spins are held on the reels! 15 Joker symbols on the set of reels cracks the progressive jackpot! The maximum bet will bring you 100 percent of the jackpot, a lower bet a proportionate share.